Photo by Emma Connolly of The Vintage Good life. It was a real birthday treat yesterday to be taken to the old home of gardeners world that used to be hosted by Geoff Hamilton. We got lost in the most gorgeous cottage gardens! I can tell you I may not even bother with Chelsea next year! 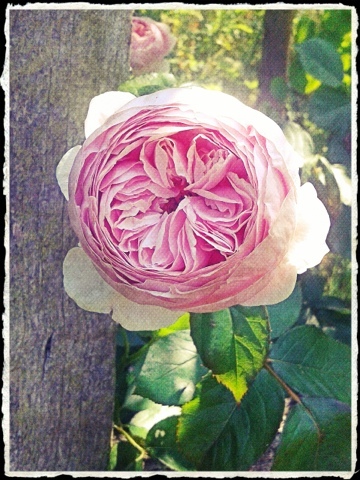 Geoff Hamilton rose by David Austin. Photo by Emma Connolly. It really is no secret that above all flower the rose is my absolute favourite! And everywhere you looked featured this rose pictured above named after Geoff Hamilton. We came away truly relaxed and very inspired. I particularly loved the vintage tea room serving afternoon tea on vintage china. 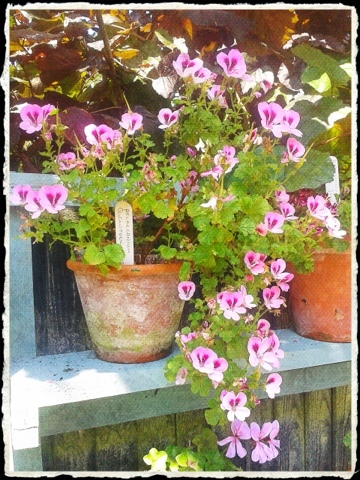 Trailing geranium. Photo by Emma Connolly. Everywhere you looked crept beauty and even with this hot summer sun their raised allotment beds looked fabulous and healthy, not a nibble from a slug or caterpillar in site although I was a little shocked to see a rather large grass snake sneaking past my feet! 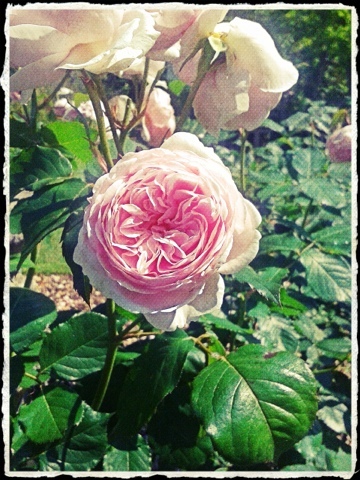 I never knew they got so big..
A tranquil space with the heady scent of roses. Barnsdale garden also run some lovely courses, there are the obvious garden ones.. 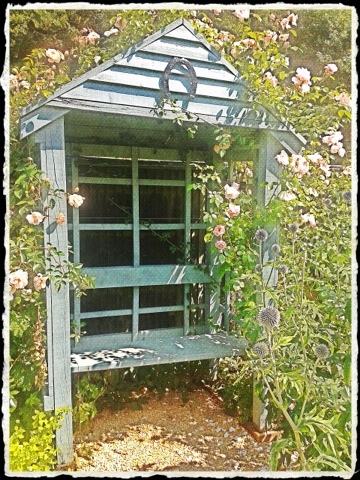 Looking after roses, putting a garden to bed, planting etc but I think I will register on the painting roses watercolour class and the photography in the garden... Ahh bliss!